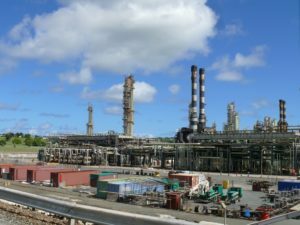 Hopes for Limetree Bay restarting the St. Croix Hovensa refinery hinge on worldwide marine fuel sulfur caps in 2020 temporarily boosting profits for sulfur-reducing refineries, Limetree Bay and government consultants suggested Friday to the V.I. Legislature. But Limetree Bay will have until 2023 and possibly longer to actually restart, under the terms of the proposal Gov. Kenneth Mapp’s administration has before the Legislature for approval. And the boost to profits is temporary. Either way, if the deal passes, the government will get $30 million for a land sale and another $40 million in pre-paid taxes this year. New money is urgently needed while the territory struggles with a fiscal crisis and inability to borrow on the private market. Hovensa shuttered in 2012 after losing more than half a billion dollars per year for the preceding several years. The St. Croix refinery was designed to burn oil to generate the heat for refining. Oil prices shot up after the U.S. invaded Iraq in 2003, which increased the cost for Hovensa to refine. Competing mainland facilities switched to cheaper natural gas, which steadily fell in price after 2008. In 2016, ArcLight Capital Partner’s subsidiary Limetree Bay opened an oil storage business at the shuttered refinery in 2016 and agreed to evaluate restarting the refinery. On July 2, Gov. 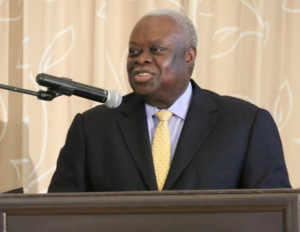 Kenneth Mapp held a press conference with ArcLight and Limetree officials announcing Limetree planned to invest $1.4 billion and restart the refinery. They said work may begin around September. 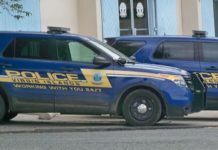 Limetree would buy surrounding government land for $30 million and pre-pay $40 million in taxes, for a windfall of $70 million shortly before the November election, in which Mapp is running for reelection. 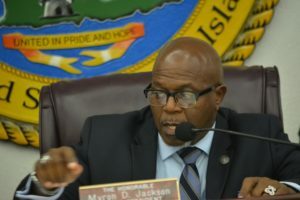 Mapp called a special session of the Legislature for July 25, to consider a package deal with the new Limetree Bay deal; a plan to use $10 million to help finance a private hotel development at Havensight and an array of changes to funding and governing structure of the Government Employee Retirement System. Friday, the Legislature met in Committee of the Whole for testimony on the deal. The natural gas price advantage over oil has lessened but is still much wider than before 2008, leading to the question of how Limetree can make money where Hovensa could not. Government consultants and ArcLight officials both pointed to a short-lived boost from the impending sulfur cap. Bill Cline of Gaffney, Cline & Associates, the government’s hired oil and gas industry consultant, said the United Nations’ International Maritime Organization mandates a cap of 0.5 percent sulfur in ship fuels used worldwide, starting January 2020. “Heavy crude oil is also expected to drop in price making the refining of such crude more attractive to refineries, like St Croix that can process such crudes and produce low sulfur fuels,” Cline said. “Thus we, and many others, believe there will be a window of opportunity for this type of refinery starting in 2020 that could last for three to four years before the markets stabilize to a new normal,” Cline said. Reading questions from constituents, Sen. Myron Jackson asked how the refinery could make an ongoing profit when Hovensa lost $500 million per year. “I think a lot has changed from the Hovensa mode of operation to our plan of operation: Everything from the joint venture between Hess and (Venezuelan state oil company) PDVSA that was very restrictive on the types of fuel and feedstocks that were brought in to not being able to respond quickly to market conditions,” Limetree Bay Manager and ArcLight Capital Partner Jake Erhard said. He said Hovensa, as a Venezuela-Hess joint venture, created management challenges that made it difficult to make the facility more fuel efficient, make it more efficient generally. That created a high cost of operation that made it difficult to compete, Erhard said. Erhard also said the sulfur cap was not in place in 2012 when Hovensa closed. “We have been able to customize to take advantage of that (and) learn from the past to become more efficient,” he said. Holt said Limetree Bay planned to begin work on restarting right away because the highest profits should be in the initial years of the new sulfur cap. “Being able to process this fuel before January 2020 is crucial so Limetree can secure short and long-term contracts now to sell this needed product before other refineries can catch up,” Holt said. Independent sources, including a 2016 report from energy market analysts S&P Global Platts, also project the sulfur cap will cause a temporary increase in profits for refineries that deal with heavy and high sulfur crude. 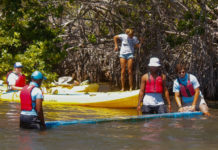 While Erhard and other Limetree Bay officials said they definitely plan to restart and to prepare to do so as fast as possible, the agreement before the Legislature gives them several years to “evaluate” whether or not to open. Most of the terms of the 2015 agreement are unchanged in the 2018 proposal. 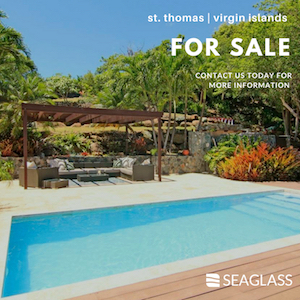 The cash payments from Limetree Bay are still set at 10 percent of revenues with a floor of $7 million, for instance. No new agreement is legally necessary for Limetree Bay to restart the refinery. The current, 2015 agreement envisions a refinery and sets annual payment rates for it. It gives Limetree Bay three years to decide whether to restart or take down the refinery and sets payments and terms for a refinery. That evaluation period ends in five and a half months, in the first week of January 2019. If it did not restart the refinery, Limetree Bay would have another three years – until just after the end of 2021 – to deconstruct the above-ground portion. 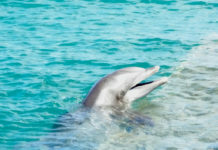 The proposed new agreement starts that clock anew, giving ArcLight and Limetree Bay three more years, or until 2021, to evaluate whether or not to restart. And it adds a new provision, not in the current agreement, allowing Limetree Bay to unilaterally extend the evaluation period by up to two more years, or until late 2023. Then it would have three more years – until late 2026 – to actually deconstruct the refinery. Jackson asked why there was a new three-year evaluation period if the company definitely intended to restart the refinery. “I view this as really a backup plan,” Erhard said. “If for some reason … it’s not completed in the time frame, we will deconstruct the refinery,” he said. Since the current agreement already requires Limetree Bay to deconstruct the refinery, it is not clear what the five-year extension to the existing evaluation period would back up, other than Limetree Bay’s liability for deconstructing the old refinery if it does not restart. Limetree Bay’s 2015 agreement says if it restarts the refinery it will pay the government either 17.5 percent of refinery income or whatever amount the parties agree to in writing. He also said that was before Limetree had a clear sense of how it would operate the refinery. Cline reiterated the same points, saying the 17.5 percent “was attractive against a tax baseline of 35 percent but much less so against a reduced baseline of 21 percent.” Cline said it “would be reasonable to reduce” the rate by the same ratio, to 10.5 percent. If the refinery does restart by January 2020, the refinery has to pay the government a “base” payment of $22.5 million a year. But there is a formula that can increase or decrease that amount. If the volume of refining is below 10,000 barrels for the year, the refinery pays nothing. Those payments go first to pay off the $40 million Limetree Bay will advance the government. Meanwhile the oil terminal operation will continue to make its usual payments, which are a minimum of $7 million per year. Cline said he understood payments have actually been closer to $11.5 million per year. but have actually been higher, due to the terminal’s volume of operation. But if the refinery does not restart, the terminal operation’s payment to the government will be cut by 50 percent until the $40 million prepayment is paid off. Sen. Nereida Rivera-O’Reilly said she would have preferred repayment “be more pro-rated” over time. “But the agreement is what it is. Which is why it is really critical that the refinery should restart,” Rivera-O’Reilly said. In 2011, shortly before Hovensa closed, U.S. District Court ordered the refinery to spend upwards of $700 million on environmental upgrades or shut large parts of the refinery, in a case brought by the U.S. Environmental Protection Agency and the V.I. Government. The proposed new agreement requires the government to help encourage the court to modify that agreement as may be necessary to restart the refinery. “Their engineers know what they need to do to comply. That will be an ongoing negotiation as the construction starts,” Holt said. When Mapp announced this new proposal on July 2, he said it, combined with progressive increases to employer contributions, would add five years of solvency to the Government Employee Retirement System. Friday, Cline, the oil and gas consultant for the government, said over the next decade they project a restarted refinery “to contribute between $141 and $353 million in new revenues to GERS” under the terms of Mapp’s proposal. Aldwin Frias of the Segal Company, the GERS actuary, testified that a set of reforms proposed by Mapp, including increasing employer contributions by 9 percent, to 29.5 percent of payroll, would extend the pension’s trust fund by one year, It would default in 2025 instead of 2024. Frias said if that happens and also GERS gets $353.3 million in new cash from the refinery over the next 11 years, starting this year, and also its investments make at least 7 percent return every year, then yes, the plan may be extended by a total of five years, to 2029. But that five-year extension requires the refinery’s contribution to hit the maximum projected amount – the rosiest scenario. At the minimum projected amount, they add $141 million – less than the $160 million yearly shortfall Frias has now. Projections of revenues from large projects are frequently inaccurate. In 2009, when the V.I. government pledged its future federal alcohol excise taxes for bonds to pay to build Diageo’s distillery on St. Croix, government analysts projected that in 2016, the USVI would get $307 million in federal alcohol excise taxes from the federal government, based on projected territorial rum production. But it actually got $231.5 million. While considerable, that is $75 million less than projected. And faced with budget shortfalls now and for the foreseeable future, will the V.I. government actually make difficult and unpopular cuts other areas of spending to increase those employer contributions? Sen. Neville James (D-STX) said the GERS changes and hotel financing proposal will be separated from the refinery agreement at Wednesday’s special session. Those provisions will instead be sent to committee for more hearings and may be modified, he said. Fourteen of the fifteen senators were present at Friday’s Committee of the Whole hearing. Sen. Kurt Vialet was absent. The $10 million is towards a hotel development in Yacht Haven Grande not Havensight as the article suggests.